Government has announced the extension of the SIM Card registration exercise up to 31st January, 2014. Zambia Information and Technology Communication (ZICTA) had set 31st December, 2013 as the deadline for all subscribers to register their SIM cards with their respective mobile service provider or be deactivated. Speaking during a media briefing in Lusaka today, Transport and Communications Minister, Yamfwa Mukanga,says as at 30th December, 2013, a total of six point eight million subscribers had registered their SIM cards out of a Mobile Service Subscriber base of ten point three million. Mr. Mukanga says the extension is meant to facilitate for those in remote areas and those that have not had the chance to register their SIM cards to do so or risk having their SIM cards de-activated. Mr. Mukanga notes that all SIM registration points have from yesterday been overwhelmed with queues of people trying to register their SIM Cards. 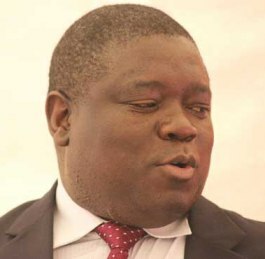 The Minister has since warned that there will be no further extension after the 31st January deadline and that those who will not register their SIM cards will be disconnected. It’s ok even if we are disconnected.after all,we will be saving our monies. I know mobile phone sim registration has an hidden agenda. All roads lead the new world order. Wait for one currency, debt card, passport, leader(pope).Trouble not zicta, sata they are just following orders. Wether you like or not the new world order is on the way. Thanks to all of who have submitted your details through fb,tweeter, banks, sites, schools, companies etc. Just prepare for what is coming. Yours is the choice between the devilish one government system or Christ’s kingdom. If you choose Christ micheal will stand for u and you will have nothing to fear. You choose the devil you will have gain, fame etc but beyond any reasonable doubt you will loose your own soul. I know mobile phone sim registration has an hidden agenda. All roads lead to the new world order. Wait for one currency, debt card, passport, leader(pope).Trouble not zicta, sata and others they are just following orders. Wether you like or not the new world order is on the way. Thanks to all of who have submitted your details through fb,tweeter, banks, sites, schools, companies etc.